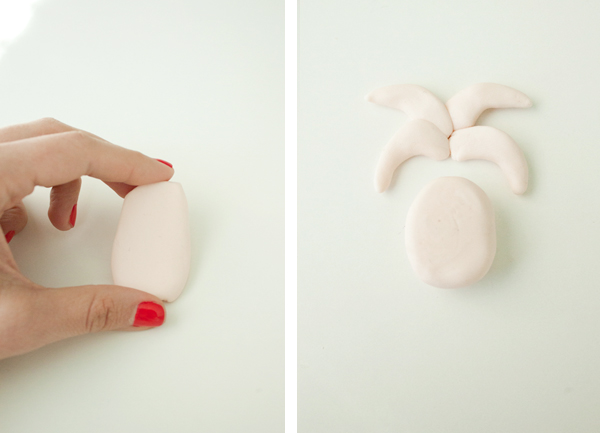 You guys know me and clay DIYs — they're just too fun to resist! Playing with the stuff makes me feel like a kid again (probably why I also love Shrinky Dinks so much), plus the possibilities are pretty much endless in terms of what you can whip up. 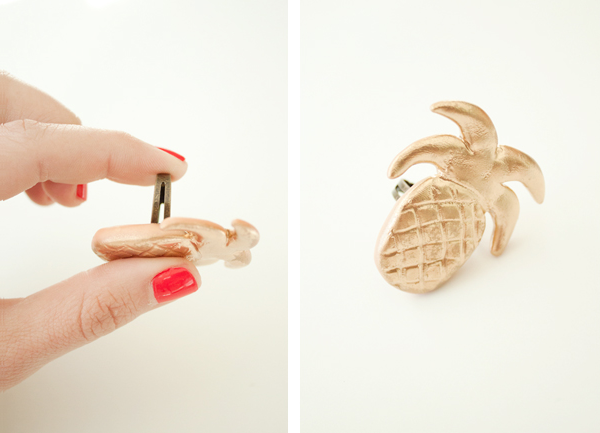 So after months of pining for summer, I felt the urge to bring a little piece of that to my fingertips with a fun pineapple ring! And although there's still snow on the ground where I live (actually), you would never suspect it by looking at my hands. Read on for full instructions! 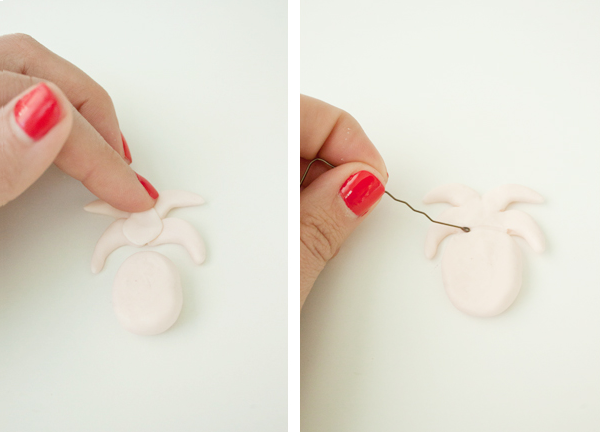 Take a piece of FIMO clay and roll it around to make it soft and malleable. Roll a larger chunk into an oval shape to form the pineapple base, then mold four smaller strips into stylized leaf shapes. Combine all four pieces together, adding a thin layer of clay to hide the seams. Flatten the ridges as best you can with your fingertip, them use a bobby pin to smooth everything out. Draw a thin line separating the pineapple base from the top, then draw intersecting lines across the base for decorative impact. Once you're happy with your design, carefully transfer the pineapple onto a baking sheet and pop it into the oven following package instructions for about half an hour. 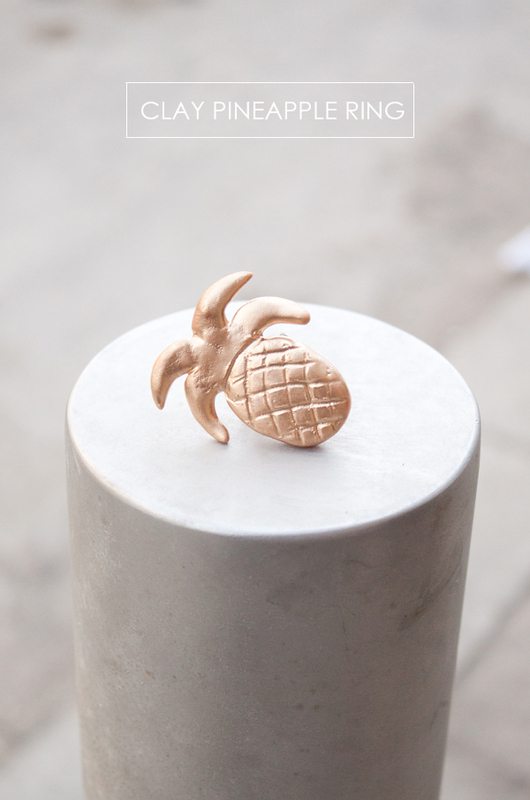 Once fully cooled and hardened, spray paint the pineapple whatever colour you wish; I chose gold because it's my favourite finish, but you could use acrylic paint or even nail polish to get whatever look you want. 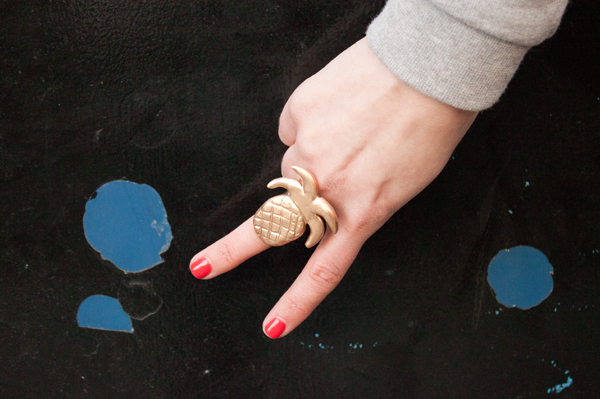 Let the paint dry fully, then adhere your pineapple to a ring base using strong glue. Your ring is so beautiful. 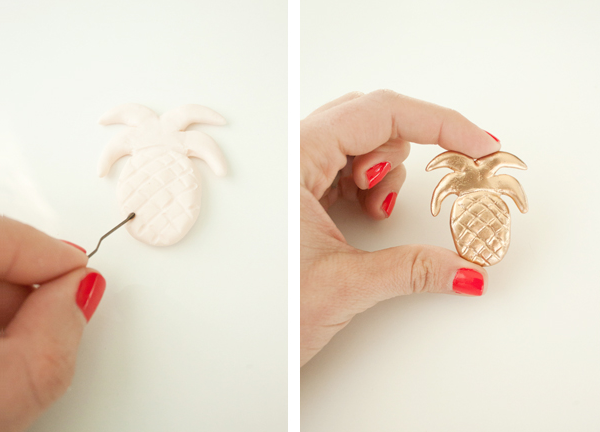 Love these polymer clay jewelry DIY design.